I had a great nights sleep in my one star (if you round up) motel in Concrete, WA. The clothes I handwashed the night before were not dry so I just attached them to my pannier bags and left with the laundry fluttering in the wind. 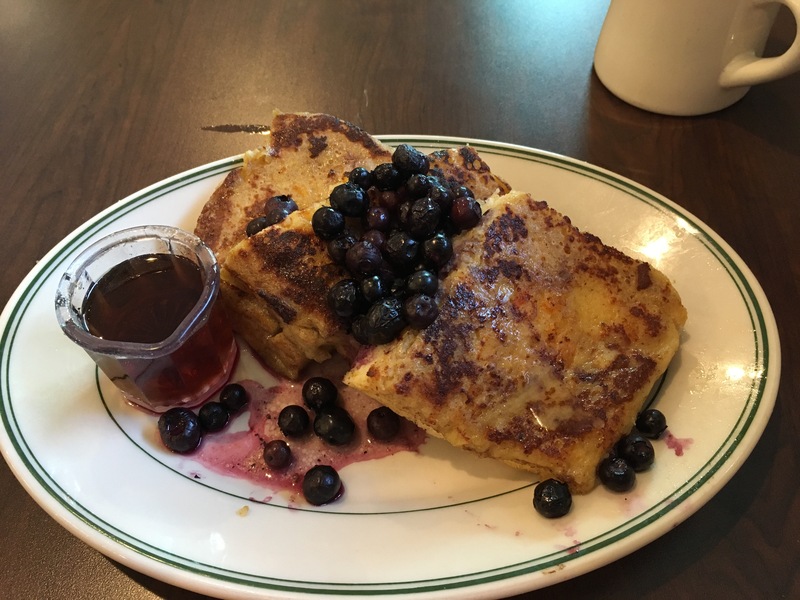 I had a great french toast with blueberries breakfast and, properly fueled, left for my planned 40 mile uphill ride. About 15 minutes into the ride I noticed my front tire was almost flat! On day two! I just put air in it every hour or so and planned on fixing it when I stopped for the day. I was looking forward to stopping in a cafe in Marblemount for my mid-morning snack- I was going to get bumbleberry pie and coffee. So I was just riding along, daydreaming and looking at the scenery when I realized I hadn’t seen the cafe- it turns out I had gone 12 miles past it- darn. Then it started raining. Hard. I decided to go 7 miles farther and check out the 30th annual Cascade Learning Institute celebration. It was great- free BBQ, ice cream, music and I met some very nice people. 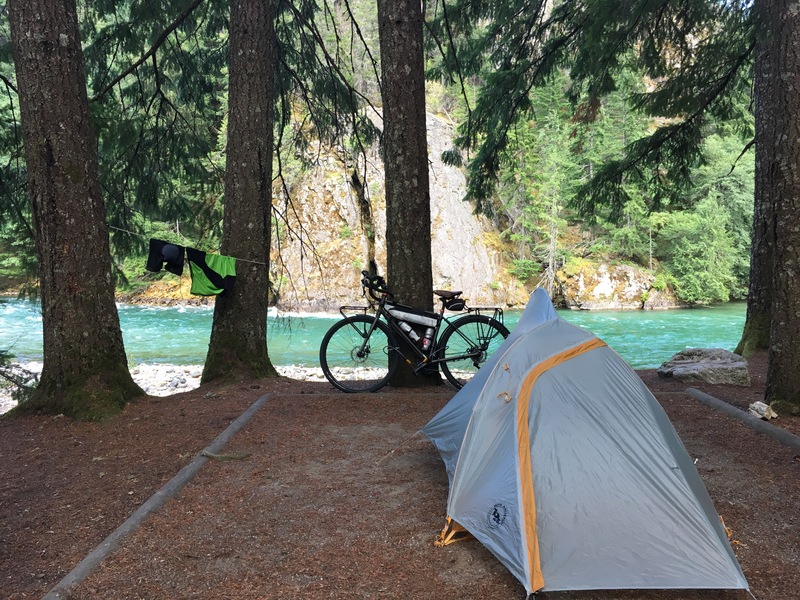 I backtracked about two miles and pitched my tent at a primitive campground right on the Skagit river. I had just finished putting my tent up when a man from the next campsite came over to me. He said “I bet there are a lot of things you have to leave behind when you are bike touring- want to come over to my campsite for cocktails?” What a great way to end the day! By the way, my Mountain House freeze dried food is really tasty.